Starring: Jennifer Lawrence, Robert DeNiro, Bradley Cooper, Edgar Ramirez, Isabella Rossellini, Virginia Madsen, Diane Ladd, Dascha Polanco, Elisabeth Röhm, Susan Lucci, Laura Wright, Jimmy Jean-Louis, Isabella Crovetti-Cramp, Melissa Rivers. After Silver Linings Playbook and American Hustle, David O. Russell had established himself as somewhat of an Oscar record breaker. Not only were these two films nominated – back-to-back – for Best Picture, Actor, Actress, Screenplay and Supporting Actor/Actress roles, they happened to be first time in the Academy’s history that this was ever achieved. You could say that the pressure was on for O. Russell and his trio of actors in Lawrence, Cooper and DeNiro to make it a hat-trick. Sadly, this time around, it appears that the pressure was too much. 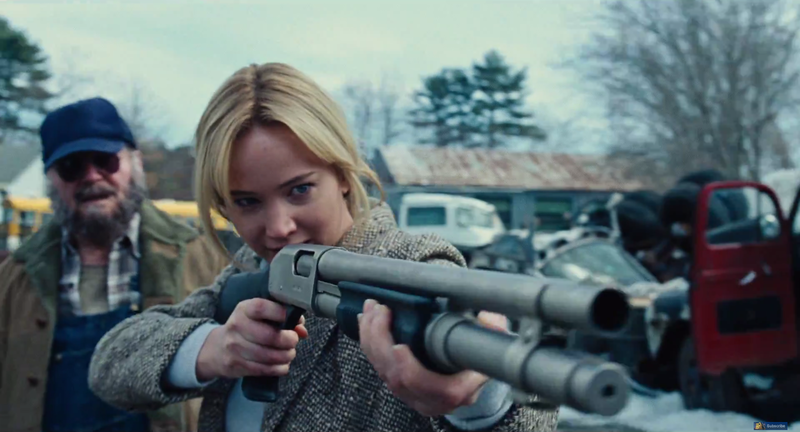 For as long as she can remember, Joy Mangano (Jennifer Lawrence) has always had ideas. Ideas that will one day propel her into a life of success. 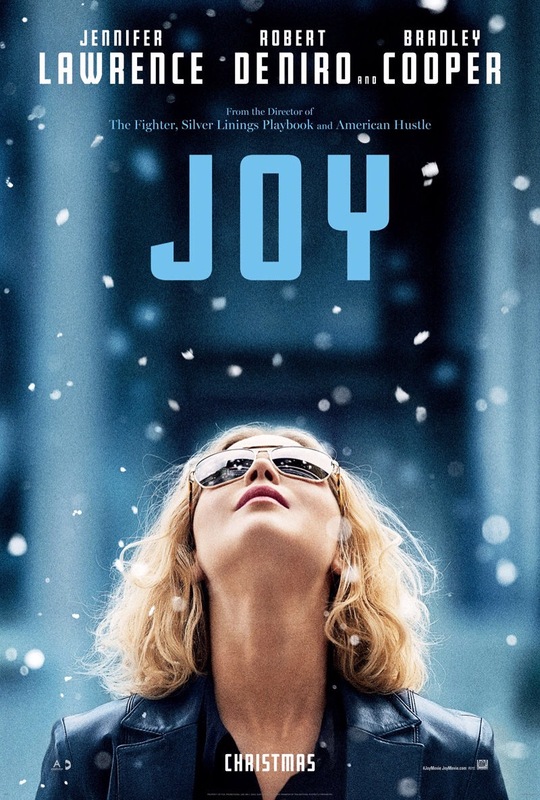 Spurred on by her grandmother (Diane Ladd), Joy refuses to accept her working-class lifestyle and longs for the day where she can break free. That day comes with an invention that grabs the attention of businessman, Neil Walker (Bradley Cooper). I suppose we really should start with the positives of Joy as those positives are on display as the film begins. O. Russell has the same panache and exuberant style that his aforementioned, Oscar nominated films had. It’s playful, snappy and hyper-stylised. In fact, the introduction to the characters is so good that it certainly looks like O. Russell and his strong cast are on to another winner. However, what starts as a film about women’s empowerment (which it clearly states from the opening credits, informing us that this is a film about one strong woman in particular) is an audacity that certainly doesn’t hold up throughout it’s duration. I even wonder if O. Russell actually believed this to begin with. There’s a glaring problem that lies with this film about a “strong woman” and that problem is domestication. Joy invents a mop; one of many household implements that has kept women in their domestic place for generations. Not only that, Joy can’t make her “miracle mop” a successful business venture unless a man gives it the thumbs-up. It could be argued that this is a film where the female overcomes the adversity of a male dominated society and our protaganist is still calling the shots. However, once you scrutinise and start picking at the threads of this shoddily knitted yarn, you realise that it’s still inherently the male that wears the trousers and rather than empower women, it’s a pathetic depiction that only adds further insult. O. Russell doesn’t even manage to subtly suggest the course of events. He shoehorn’s them in. He manipulates the audience to embrace this rags to riches tale. There’s a moment where it introduces the beginning of Joy’s success through home-shopping channels like QVC. It was around this point that I started to question the film’s motives. I thought that O. Russell might be taking this opportunity to expose the facade and falseness of such salesmanship endeavours but he didn’t. He embraced it. And the film failed to recover as result. I couldn’t believe that after such a strong start that this was the path it had chosen. There’s a patronising nature to the whole affair that further fuels the argument of how few strong roles are available for women in Hollywood. That said, I have to give Lawrence her due, she looks committed and delivers another strong performance but her work is lost in a formulaic narrative and Hollywood manipulation. 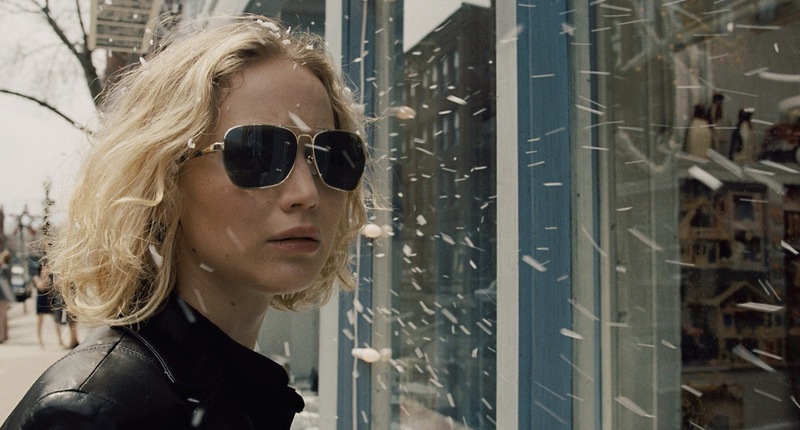 With Winter’s Bone and The Hunger Games franchise, Lawrence has somewhat put herself in the position of spearheading the strong female characters in American cinema but this is a seriously misjudged choice and I can only fault her misguided trust in O. Russell for this. The supporting cast come off even worse. They are mere ciphers that ultimately serve no purpose but to move the plot along; Ramirez, as the ex-husband, is a wet blanket that lingers around in the background and although he seemingly shows support for Joy he’s still led by the hand. 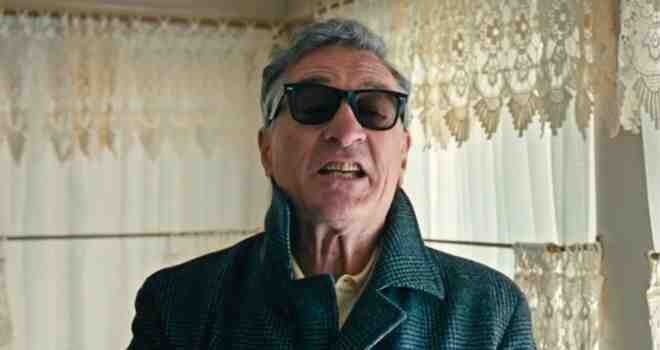 DeNiro is the doting father but somehow must always take responsibly for his daughters failings – thereby suggesting that her achievements are also in part due to him? His character features prominently in the early part of the film only to fall into obscurity in the latter half while Rossellini as his new wife is seen as the wicked stepmother who’s only interest in Joy is a financial one. Cooper has little to do but take credit for any of Joy’s success and Virginia Madsen is the no-use mother who lies in bed all day watching soap-opera’s. The only redeeming supporting character is Diane Ladd’s caring and supportive grandmother. Her advice is a constant source of inspiration for Joy but as a stand-alone character she hardly makes an impact. All of these characters are lost in a muddled script where plot developments are lazily and insultingly handled. One scene, in particular, has Joy meeting with two stereotypical, cocksure businessmen who dismiss her concerns. She then asks to use the bathroom. And guess what? Yep, the bathroom has a (very convenient) doorway that leads to the warehouse where her patented product is being manufactured in a way that goes against her whole idea and design. She hits rock bottom. Takes a pair of scissors to her hair to signify empowerment and before we know it, she’s fighting back. This is her invention, dammit, and every domesticated little wifey shall have one. It’s pitiful. The title would suggest that this is a heartfelt film and full of joy but that’s ultimately what it lacks. During times of austerity, it’s intentions are dubious by insensitively portraying money as a means of success and happiness and only by conquering the capitalist system will all your problems be solved. Trivia: The real Joy Mangano first developed the Miracle Mop in 1990, the same year actress Jennifer Lawrence was born. This entry was posted on January 11, 2016 at 5:08 pm and is filed under Drama, Family with tags 2015. You can follow any responses to this entry through the RSS 2.0 feed. You can leave a response, or trackback from your own site. Nice review Mark. I’ve found Russell’s output in recent years to be affable yet middling and very Oscar-baity. Wasn’t too interested in catching this and based on your review I doubt I’ll see it. Cheers, man. I’ve actually enjoyed O. Russell’s recent films and I was really hoping for him to make it three in row but this was pretty poor. I reckon you’ve made a wise choice in avoiding this. I’m going to give this a go tomorrow evening. I’m a few days behind you so far this year, and wasn’t initially going to see this on the big screen, but I figure a few people seem to like it and the Revenant/Creed/Room – all films I’d rather watch – aren’t out until the weekend. It’s a shame it didn’t work for you…I’ve also enjoyed Russell’s recent films, so I’m a little bit hopeful, but I do wonder how much interest I’ve got in the mop angle. Ooof. I’m still going but I’m going in wary! So good to read a review that calls a spade a spade. I’m not a huge fan of this one either, for reasons post at https://richardalaba.wordpress.com. I look forward to more from you. Thanks, man. I really didn’t like this at all. I had such high hopes and despite it starting very promisingly, the hopes I had plummeted fast. A huge disappointment. 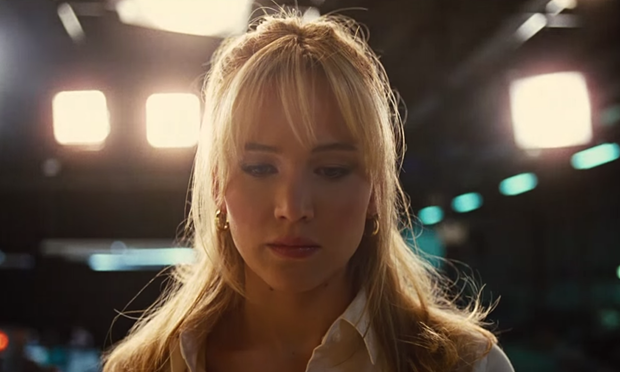 It sounds like Jennifer Lawrence is the best thing in this movie. She is! The rest is nonsense. I see she’s been nominated for an Oscar for her work here. I have some issues with some of the Oscar noms this year. I don’t mean to take away from Lawrence but it’s not an Oscar performance. I seriously doubt she’ll win it anyway. The academy just seem to adore her. The Oscar nominations always tend to divide opinion I’ve noticed. Especially when something really good gets snubbed. Thank you, Veronika. I’m humbled that you think this is the best. I had to be honest with my thoughts on this. Too many people were blowing smoke up its orifice and I couldn’t stand back and be one of the crowd. It’s really poor and lucky to even get the 2 star rating I gave it. Great writing man, makes me a little insecure about my own stuff! You make some great points. Thank you sir! I often criticise my own writing. It’s something we all do, I think. What matters is that our opinion comes out. Personally, I quite like O. Russell’s stuff. SLP and Hustle really worked for but this didn’t at all. I was hugely disappointed in it. I feel like I wasn’t to go back and give it an even lower rating. What some people seen in this film is beyond me. It’s terrible. Ah that’s a bummer that you liked his recent stuff but not this one. I’m still trying to get past the fact that he made a movie about a mop! I didn’t see any of that at all. I loved the movie. I though Lawrence was great and the support was on their game too. I get the point about undermining the female empowerment story but there is still a fantastic story underneath and one that I found inspiring. Fair enough, Ben. Each to their own, my friend. I didn’t connect to the film at all. I found Lawrence very commanding in the lead and the supporting actors decent with what they had on offer but the story and it’s delivery didn’t sit well with me. I couldn’t get behind a female character that relied so strongly on the other males to provide her with her achievements. I couldn’t get behind the idea of capitalist success and it ultimately bringing longing happiness. That aside, I couldn’t get behind how lazy the film was. Events just seemed to happen. They just happened! This (maybe) could’ve worked had the director (or studio) had the confidence to go for something different. They were pigeonholed. And it was apparent to me. Nothing about this film appealed. Well argued piece. I hated it, man. It was a huge disappointment and a waste of so much talent.